Ecological relationships describe the interactions between and among organisms within their environment. These interactions may have positive, negative or neutral effects on either species' ability to survive and reproduce, or "fitness." By classifying these effects, ecologists have derived five major types of species interactions: predation, competition, mutualism, commensalism and amensalism. Predation includes any interaction between two species in which one species benefits by obtaining resources from and to the detriment of the other. While it's most often associated with the classic predator-prey interaction, in which one species kills and consumes another, not all predation interactions result in the death of one organism. In the case of herbivory, a herbivore often consumes only part of the plant. While this action may result in injury to the plant, it may also result in seed dispersal. Many ecologists include parasitic interactions in discussions of predation. In such relationships, the parasite causes harm to the host over time, possibly even death. As an example, parasitic tapeworms attach themselves to the intestinal lining of dogs, humans and other mammals, consuming partially digested food and depriving the host of nutrients, thus lowering the host's fitness. Competition exists when multiple organisms vie for the same, limiting resource. Because the use of a limited resource by one species decreases availability to the other, competition lowers the fitness of both. Competition can be interspecific, between different species, or intraspecific, between individuals of the same species. In the 1930s, Russian ecologist Georgy Gause proposed that two species competing for the same limiting resource cannot coexist in the same place at the same time. As a consequence, one species may be driven to extinction, or evolution reduces the competition. Mutualism describes an interaction that benefits both species. A well-known example exists in the mutualistic relationship between alga and fungus that form lichens. The photsynthesizing alga supplies the fungus with nutrients, and gains protection in return. The relationship also allows lichen to colonize habitats inhospitable to either organism alone. In rare case, mutualistic partners cheat. 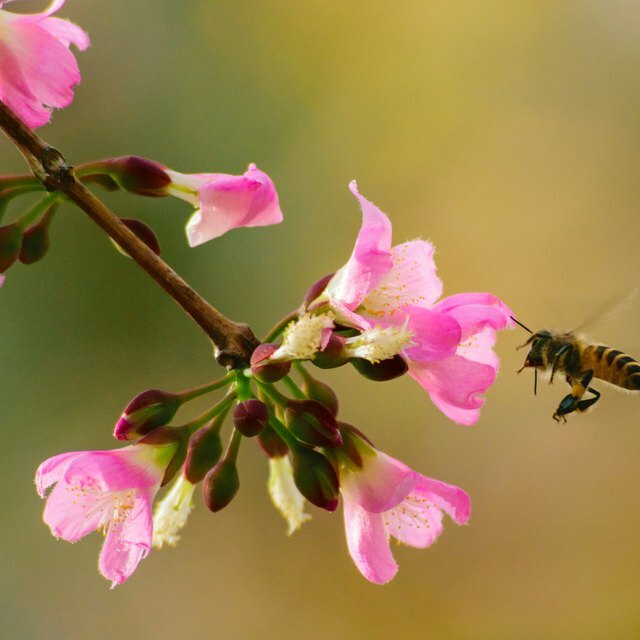 Some bees and birds receive food rewards without providing pollination services in exchange. These "nectar robbers" chew a hole at the base of the flower and miss contact with the reproductive structures. An interaction where one species benefits and the other remains unaffected is known as commensalism. As an example, cattle egrets and brown-headed cowbirds forage in close association with cattle and horses, feeding on insects flushed by the movement of the livestock. The birds benefit from this relationship, but the livestock generally do not. Often it's difficult to tease apart commensalism and mutualism. For example, if the egret or cowbird feeds on ticks or other pests off of the animal's back, the relationship is more aptly described as mutualistic. Amensalism describes an interaction in which the presence of one species has a negative effect on another, but the first species is unaffected. For example, a herd of elephants walking across a landscape may crush fragile plants. Amensalistic interactions commonly result when one species produces a chemical compound that is harmful to another species. The chemical juglone produced in the roots of black walnut inhibit the growth of other trees and shrubs, but has no effect on the walnut tree. Ryczkowski, Angela. "Five Types of Ecological Relationships." Sciencing, https://sciencing.com/five-types-ecological-relationships-7786.html. 09 March 2018.